Why does water condensation take place inside a closed container? How to Specify Common Web Slings? These special purpose slings need to be made-to-order. 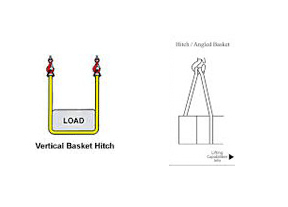 Wide-lift Slings Designed to support the load over a wide area thus offering balance. Speciall designed with high abrasion resistance for handling stone & concrete blocks and concrete building panels . Gas Cylinder Slings Specially designed for handling gas cylinders. It is used to hoist , lift and handle material. Fabricated by sewing together woven nylon or polyester webbing . 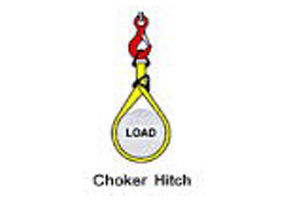 Used in a vertical , basket or choker hitch. 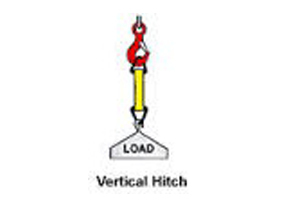 Used in avertical or basket hitch only . 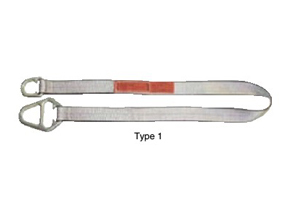 Most common sling in use.Can be use in all three hitch configuration. Similar to the Type3 ,except that the eyes are twisted 90degrees to nest better on the crane hook. Very popular and most economical .Can be used in all three types of hitch. It is formed by sewing the butted edges of an endless sling together to double the width. Every lift using a sling makes use of one of these basic hitches. The load is directly attached to the loop eye or end fitting of the sling usually by a hook . The loop eye/ end fitting is passed around the load and through the other loop eye /end fitting. The sling is passed under the load with both eyes/end fitting snesting on the crane hook. A web sling must be manufactured to an approved standard and must have a permanent label on it stating the size, grade, rated capacity and reach.It may be colour coded as well. It must come with a test certificate. Any fitting must be stitched onto the sling. 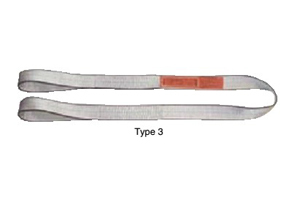 Choose the correct type of sling for the specific job. 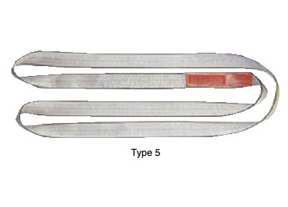 Web slings are not recommended to be used at temperature above 80°C. It is recommended that the web sling be thoroughly inspected every year and recorded. 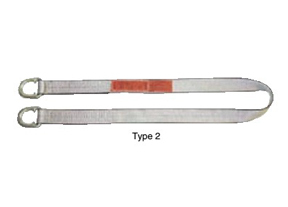 As a safety practice, the web sling should be inspected visually daily for signs of wear,tear or damage. 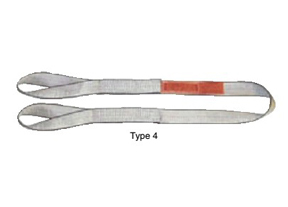 Web sling with aluminium fittings cannot be used in the presence of caustic chemicals. 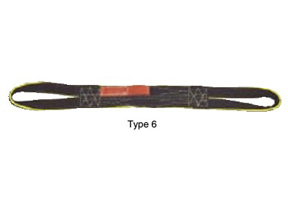 Nylon slings are not suitable for handling acids. Polyester slings are not suitable for handling caustic chemicals. Web slings should be stored in a cool , dry area as mositure can damage the slings. Sunlight will slowly degrade the web slings so keep away from sunlight when not in use. Web slings may be washed and air-dry . Do not use hot air blower or oven to dry it. Keep away from chemicals .Check manufacturer's guide for chemical resistance. No holes, tears , cuts or snags. Red warning stitches exposed , indicating overloading. Distorted or cracked metal fittings. Other visible defect that may weaken the sling. Slings should not be loaded above the safe working limit.Take the sling angle into account. Choose the correct sling for the job at hand. Use the sling of correct length. Do not shorten by knots, bolts. Get rid of kinks , loops or twist in the sling. Lift slowly to avoid shock load stressing of the sling. Pad sharp corners of load to prevent damage to the sling. Do not drop sling with metal fittings to prevent damage to the fittings and sling. Ensure the sling is properly assembled before lifting. Ensure sling is free and loose before removing after any lifting job. 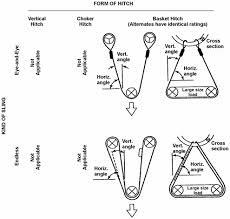 The sling angle is measured between the horizontal plane and the sling leg .This may apply to a single leg sling in an angled vertical hitch or basket hitch or to a multi-legged bridle sling . 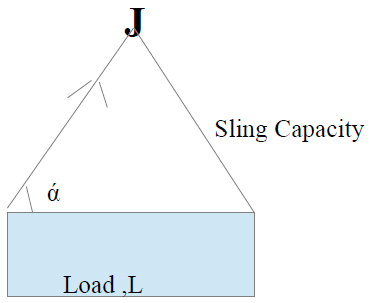 Whenever the sling is pulled at an angle , the tension in the sling increases in proportion to the size of the angle . It is therefore recommended angles below 45 degrees should be avoided. Copyright © 2014, Cejipac Sdn. Bhd.